Hello everyone! 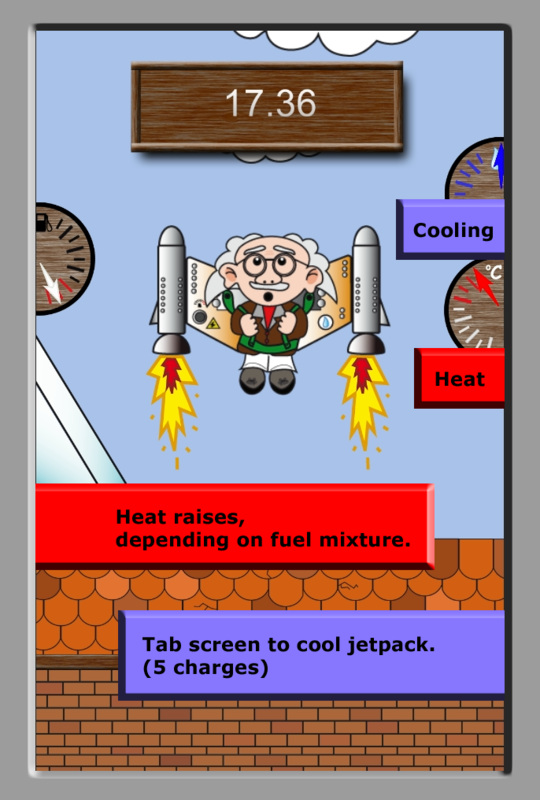 In our new minigame you’ll assist Dr. Fiddle in mixing up fuel for his new invention, a jetpack! You need to make a good mixture out of 4 different liquids to help Dr. Fiddle fly as high as possible. 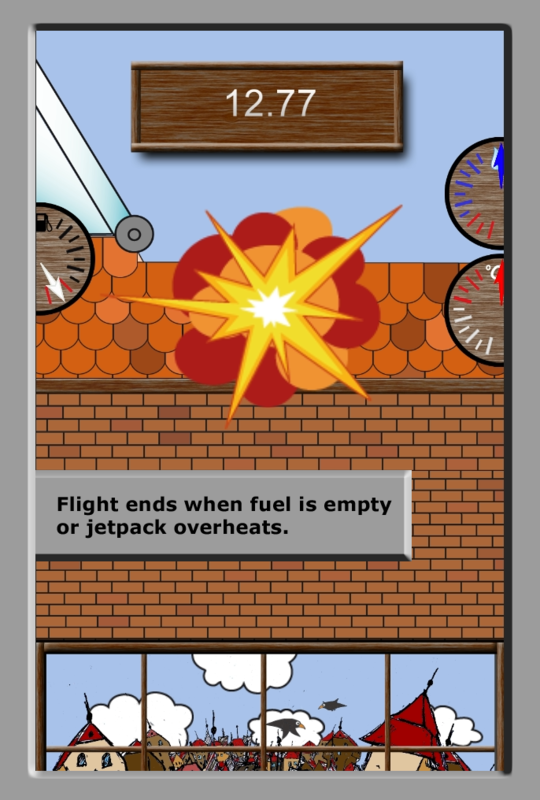 But beware, some tend to get hot extremly fast and will make his jetpack explode, other won’t have enough power to even let him lift off the ground. You need to figure out a good mix to get on top of the highscore-list! 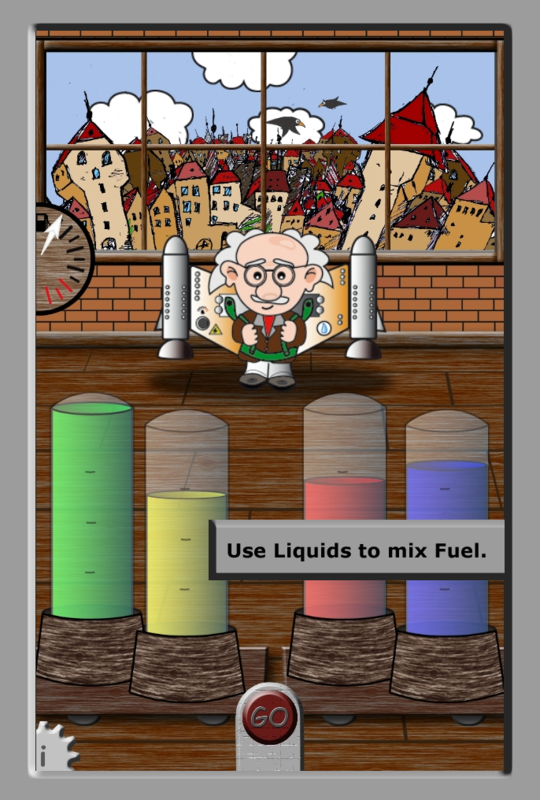 It is pretty easy, if you know how to mix the fuel. 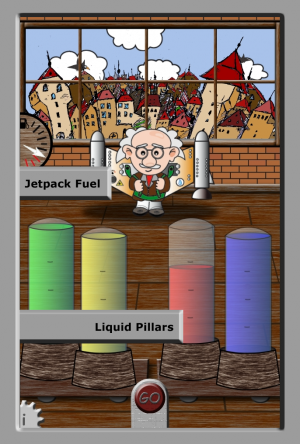 You just need do drag the pillars up/down and the fuel will fill, once you finished your mixture hit GO and the jetpack will start. But you’ll have to keep an eye on the heat. If the jetpack gets too hot it will explode. 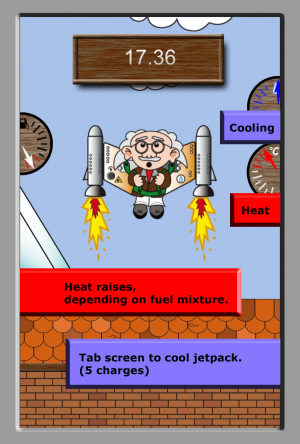 You can use cooling water by tapping the screen. But there a only 5 charges to cool it down. So be careful. We are Ben and Markus, founder of ‘uberactive game studios’, an indie game studio dedicated to mobile game development and we’ve released our first Android title, “Jaeger Strike”, an action packed retro top down space shooter.